Are these real estate lead generation myths holding you back? Find out the truth! Are unrealistic expectations keeping you from developing a successful real estate lead generation plan? Now that more than 80 percent of homebuyers search for properties on the Internet, realtors need to have an effective way of generating leads online if they want to succeed. 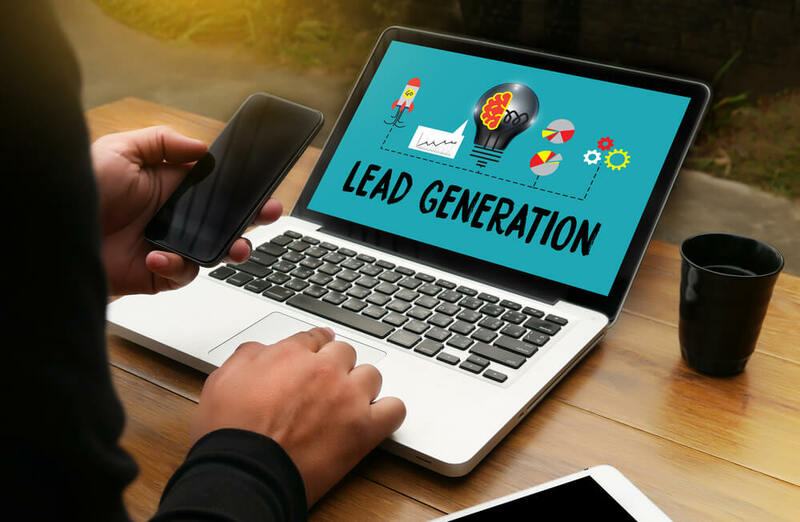 A lot of the information you can find about generating real estate leads online is simply not true, however, which can make it difficult to develop an effective real estate lead generation plan. We’ve debunked four of the most common myths and provided tips on how to develop a real estate lead generation plan that works! Truth: Free real estate websites on a brokerage site or through the real estate directories (Zillow, Trulia) promote the brokerage and encourage prospects to see you as interchangeable with other realtors. Action Tip: A successful real estate lead gen plan starts with a branded website that promotes you while providing unique resources to help clients buy or sell properties. Choose a responsive website design that works with mobile devices, and include IDX integration and home search tools. Provide valuable, original content about properties that can’t be found on other sites and easy-to-use lead generation forms to collect information from prospects. Truth: Unless you take steps to drive traffic to your website, real estate leads are not going to magically appear once you establish an online presence. Action Tip: Implementing a real estate lead generation plan that takes full advantage of all available online marketing channels will help you generate more leads. Start by gaining visibility using a real estate SEO strategy that encompasses your website, content, and social strategies. Develop a comprehensive content marketing strategy with real estate blogs, videos, and social postings to drive traffic to your website. This will help you gain a higher search position that will help you attract real estate leads. Truth: There is an enormous amount of competition for top positions in real estate searches, particularly from the large real estate directories, because higher search positions generate more leads. That doesn’t mean that there is no way to gain a top position for any real estate related terms, just that you need to adapt a smarter search strategy. Action Tip: When you focus your lead generation plan for real estate on local and hyperlocal terms, you face less competition so it is easier to gain a higher search position. Make the most of your specialized knowledge of your local area to rank for local neighborhood terms by creating mini neighborhood sites within your real estate website and optimizing your webpages with hyperlocal terms. Gain a higher search position by publishing real estate blogs, videos, and other online content that focuses on what local communities have to offer. Truth: Lead generation is important, but real estate leads only help your bottom line if they convert to actual property sales. Action Tip: Develop a real estate lead gen plan to nurture leads through the entire sales funnel. Real estate leads can take months to develop, and those leads can be lost at any time before customers close on a house. Once you generate leads, keep them engaged through social media and segmented email newsletters to nurture them through to a sale. If you would like help developing a real estate lead generation plan, along with comprehensive support services for all your online real estate marketing strategies, you can always turn to For Sale Marketing. We can provide you with everything you need to generate more real estate leads online, including a branded, responsive real estate website with fully integrated IDX and lead generating real estate forms, expert SEO services, social media marketing packages, and more. Contact us at For Sale Marketing today at 954-866-1115 for complete support services to bring your real estate lead generation plan to life today!